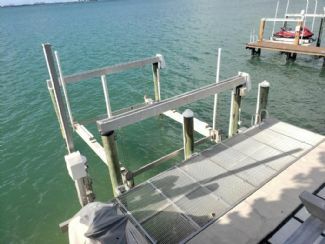 Private catamaran boat lift on Biscayne Bay. Includes water, electricity, 24 hr access. No fixed bridges.